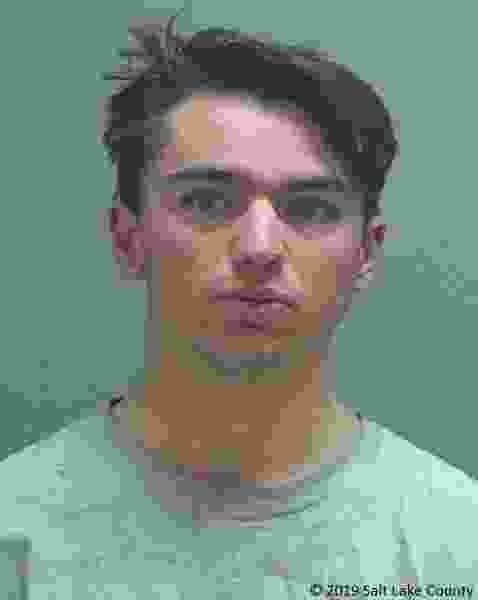 A 21-year-old Utah skier is facing two felony charges after he allegedly attacked and tried to disarm a police officer who was trying to stop the man from excessively honking while waiting in traffic at Brighton ski resort. Nathan Harrison was among many others who drove up Big Cottonwood Canyon on the morning of Jan. 19. When he got to the lot at Brighton about 10:15 a.m., he and the others learned there were no spots available, according to charging documents filed Friday in 3rd District Court. The officer told Harrison to stop honking and turn around “like all the other drivers,” but, instead, Harrison allegedly drove at some cones and signs put in place to keep cars out of the full lot. A parking attendant and police officer told Harrison several times to stop his car, and he eventually did, but wouldn’t open his window when the police officer asked him to and was “yelling, screaming and waving his arms around,” court documents state. The officer then opened the door to Harrison’s car and told him to head back down the canyon. Harrison then allegedly grabbed the officer’s coat and the two got into a struggle. The officer accused Harrison of punching him multiple times and said he hit Harrison in the jaw and face to try to subdue him. The officer eventually took Harrison to the ground. During that struggle, Harrison allegedly tried to reach for the officer’s gun and then pushed the officer’s head into a snowbank, according to court documents. “The snow was very deep and I was completely unable to breath[e] as he pushed my head into the snow,” the officer reported. The officer eventually kicked Harrison off him and pointed his gun, telling Harrison to lie on the ground. When Harrison still allegedly didn’t do that, the officer “re-engaged” him and held him on the ground until backup arrived. Harrison was charged with a first-degree felony count of disarming a police officer, a second-degree felony count of assault against a peace officer and a class B misdemeanor count of interference with an arresting officer, in addition to a traffic citation. An attempt to reach Harrison by phone for comment was not successful.